There’s big money on the line at Black Chip Poker in 2019, so we’re going to cut to the chase and lay it all on the table. 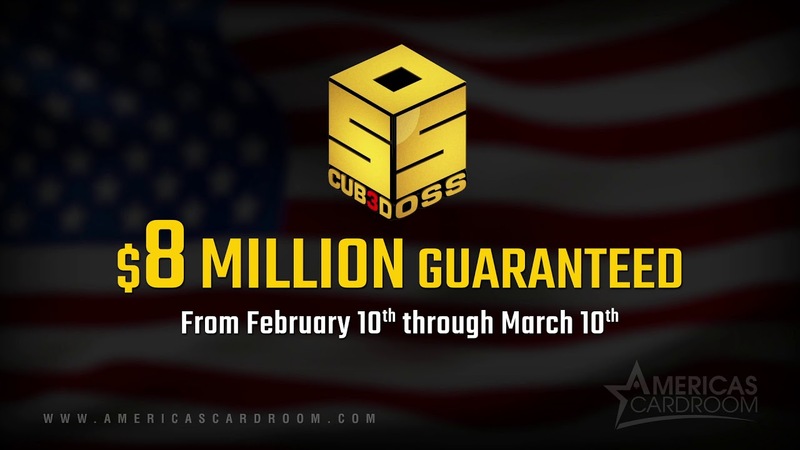 In case you stop reading here, we’re talking about $8 million in guarantees in the OSS Cub3d and another $5 million in guaranteed prize money in the Venom Tourney. The $5 Million Venom ($2,650 buy-in) is the single biggest online poker tournament ever for U.S. players and it has a $1 million first-place prize.Download the Black Chip Poker client for the date. Finally, grab a 50% reload bonus up to $300 for the OSS Cub3d by using code BACK. It’s good from February 17th to 23rd.